If you're anything like me, your first real apartment was filled with furniture handed down from older friends, a hodgepodge of vintage finds from the local flea market, and hastily selected décor that combined the styles of multiple roommates. The result of my quick approach to decorating left me with an unintentionally eclectic space when I first struck out on my own (with two roommates in tow) after college. In hindsight, I would have been much better off taking my time to carefully select pieces that I could afford over time, rather than trying to furnish an entire apartment from scratch with an extremely limited budget. Now, with a bit of perspective and a meager savings account, I'm ready to refresh my digs. Only this time, I plan on making thoughtful purchases that fit my budget and my style. It's really not as daunting as it sounds. With a few simple swaps and upgrades, I'm confident that first apartment will look and feel more refined, mature, and on trend—because what would a design refresh be without experimenting with a few trendy pieces? 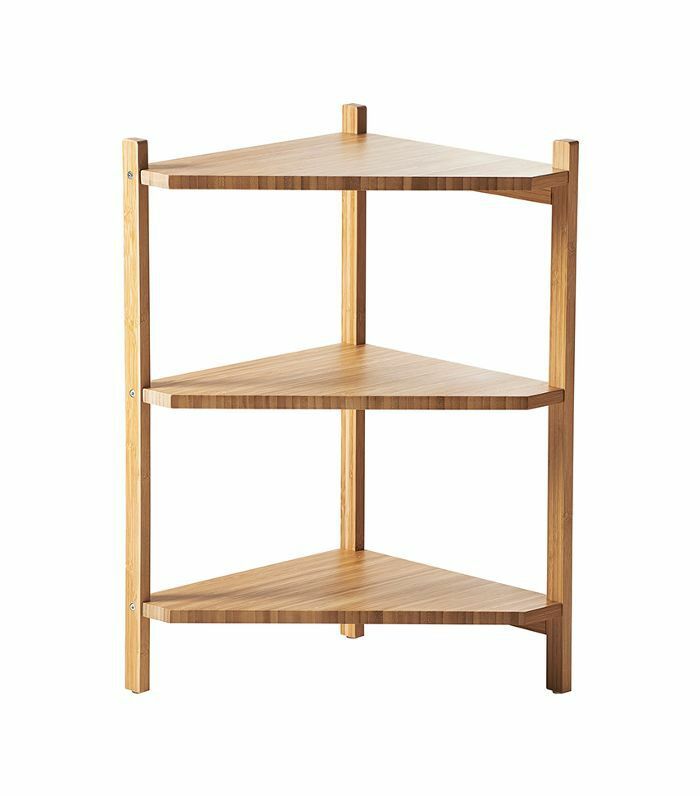 Keep scrolling for 22 affordable first apartment décor items sitting in my cart right now (all for less than $50). 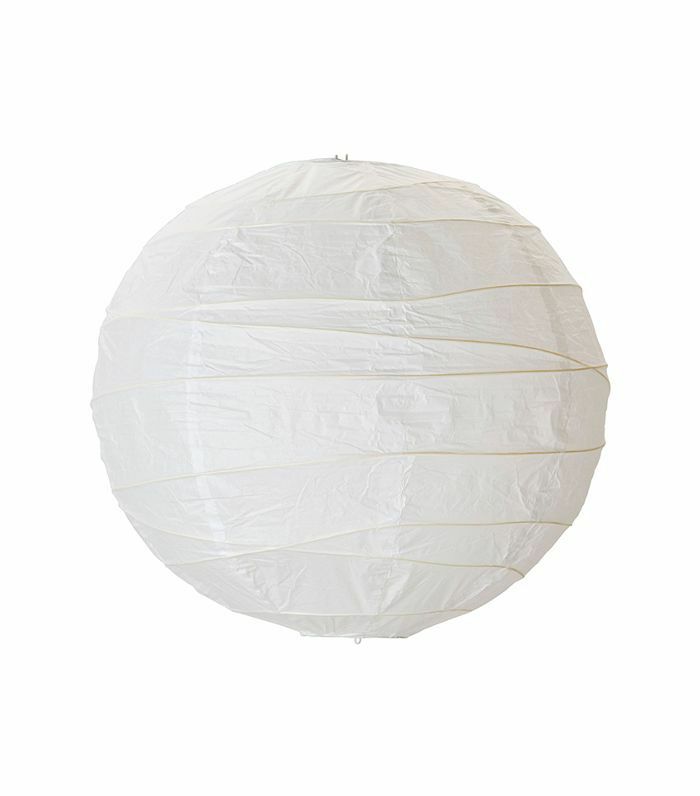 The paper lantern has been one of the trendiest items of the fall, and this affordable option from IKEA will set you back just $5. I'm convinced that nothing changes a room quicker and easier than a new throw pillow. I love this jewel-toned velvet one that's completely on trend. Stock up on affordable pillow cushions so you can experiment with new covers to your heart'a (and wallet's) content. 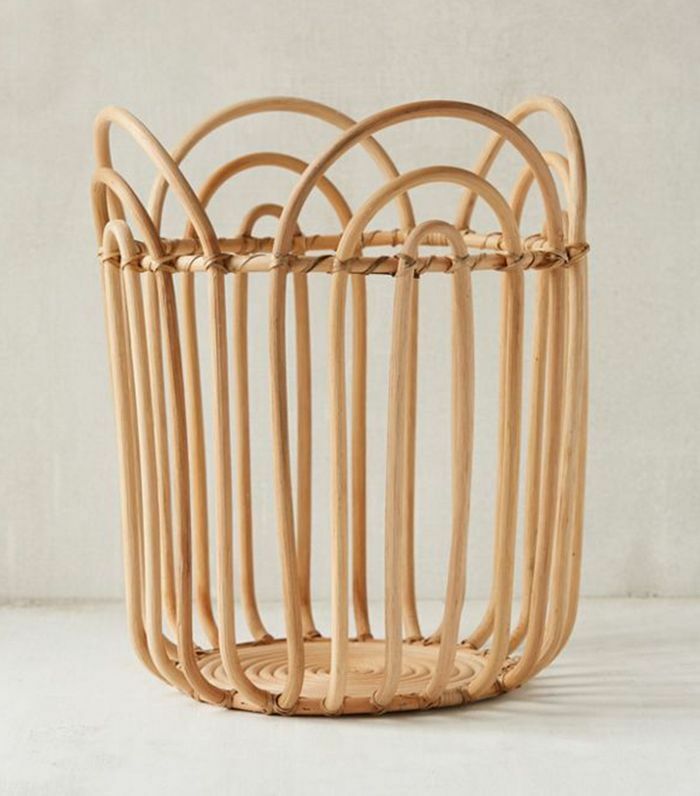 Natural materials have never been more in style, and this chic basket is perfect for storing winter blankets and throw pillows when they're not in use. 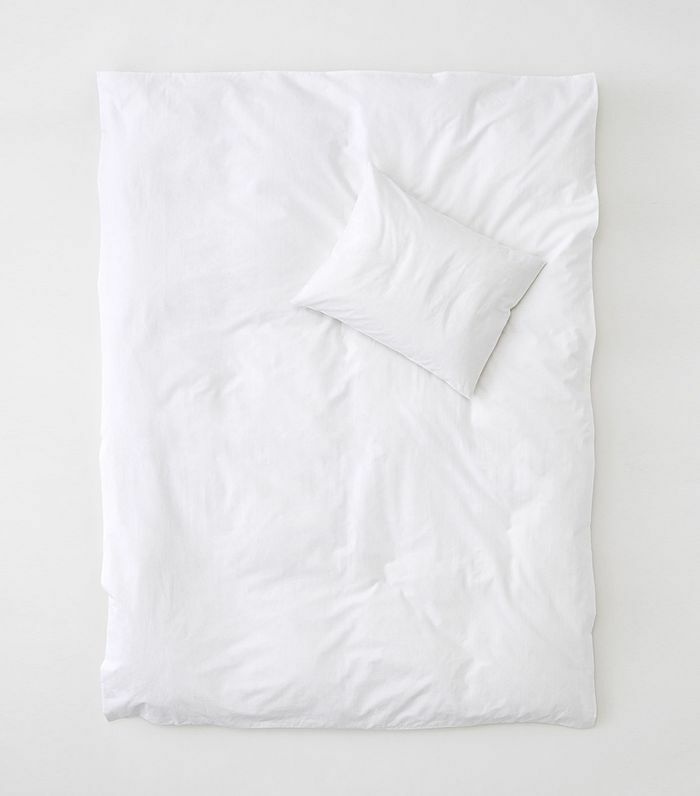 An affordable way to give your bedroom a new look is with a new duvet cover. This crisp white option from H&M is refined and classic. 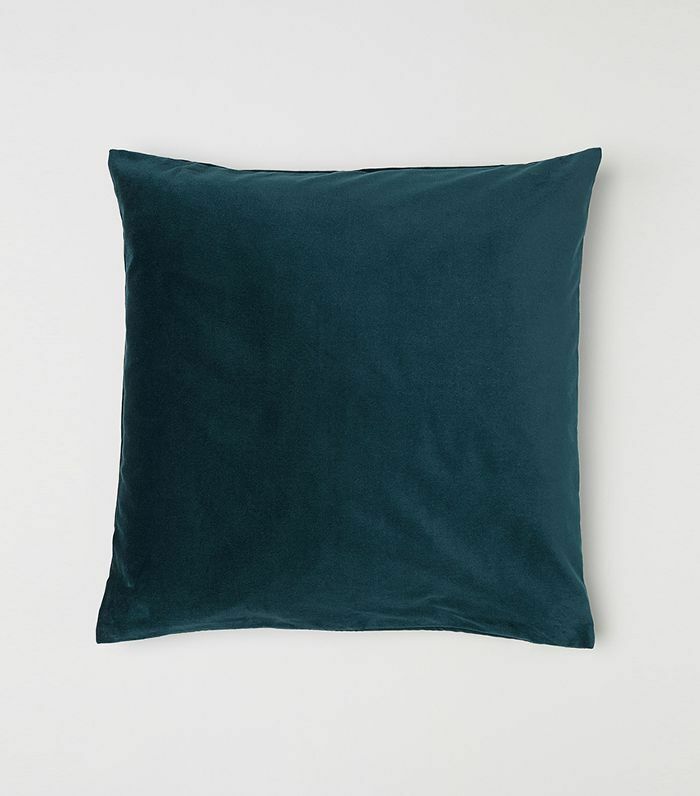 Dress up your bedding with a trendy throw pillow. 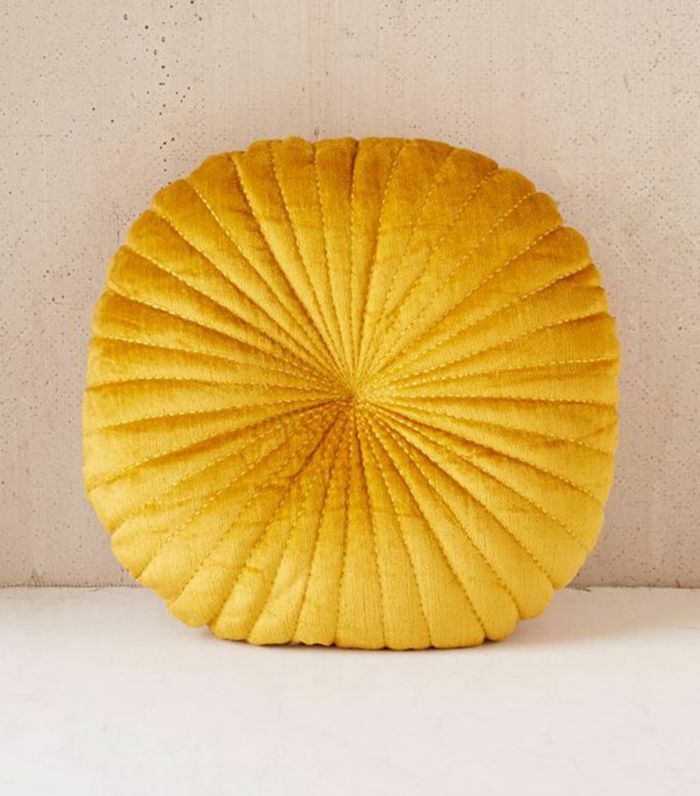 This circular ochre pouf offers the perfect pop of color. 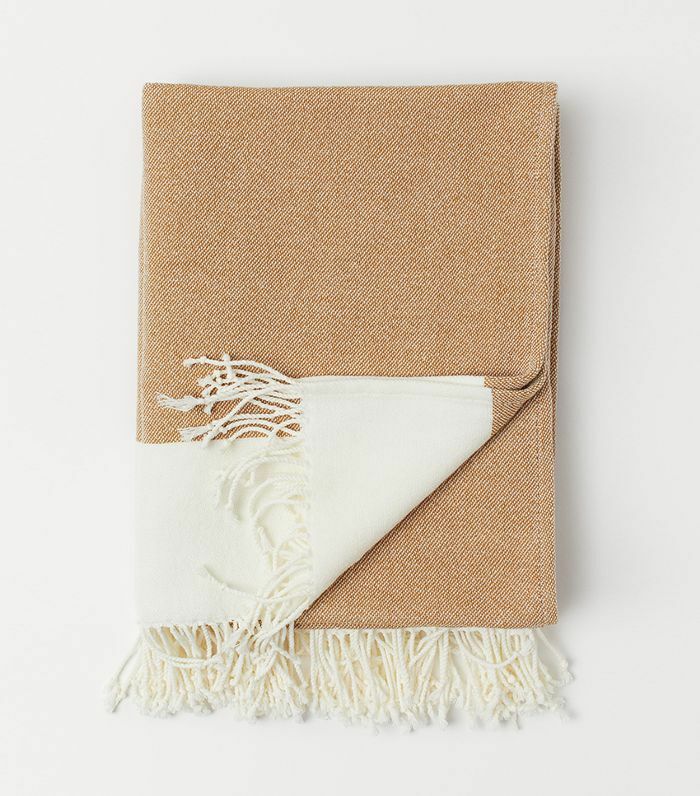 No bed is complete without a soft, neutral throw blanket effortlessly tossed across the duvet, and this camel-colored blanket with fringe is timeless. 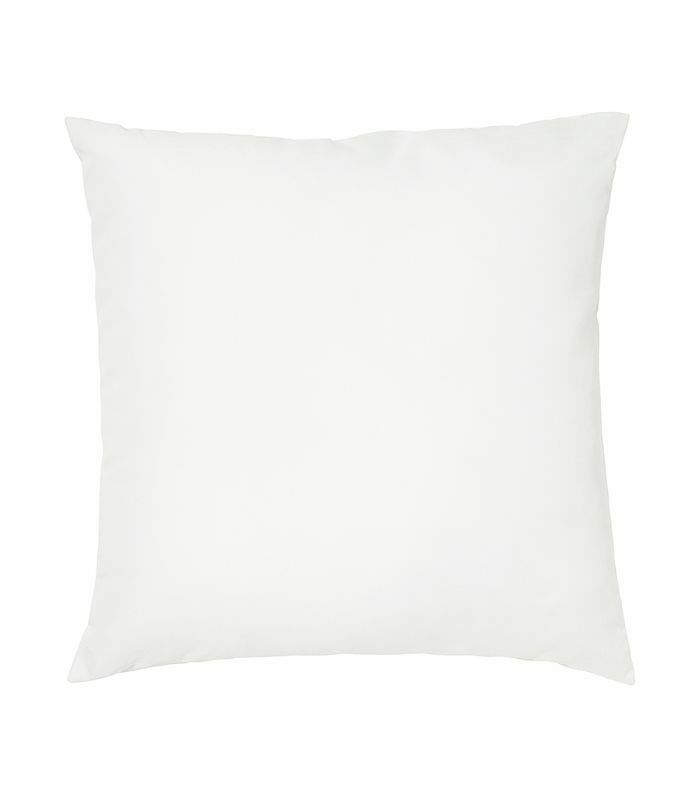 Lumpy pillows are a surefire way to make a bedroom look unsophisticated. 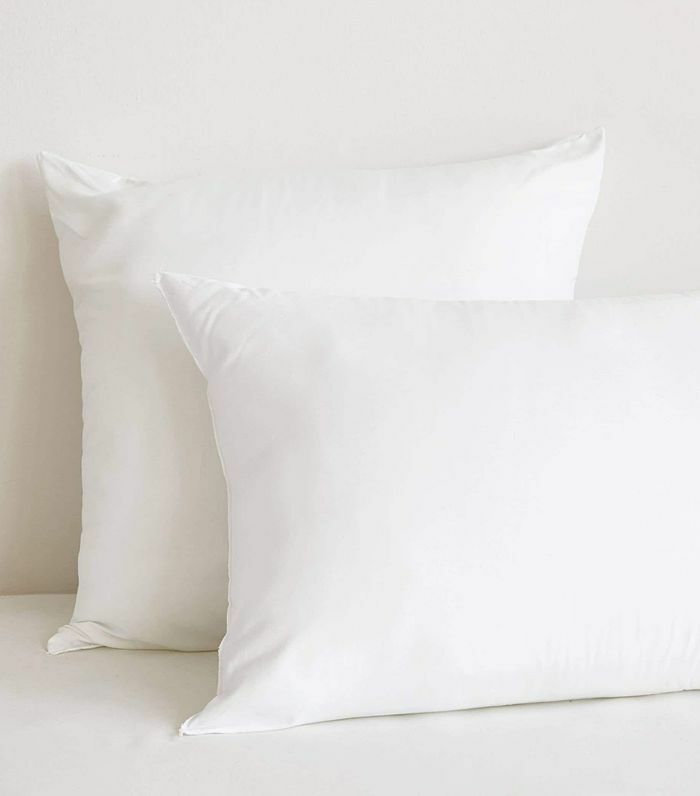 Make a small purchase on new pillows that will make a major difference to the overall look of your space. 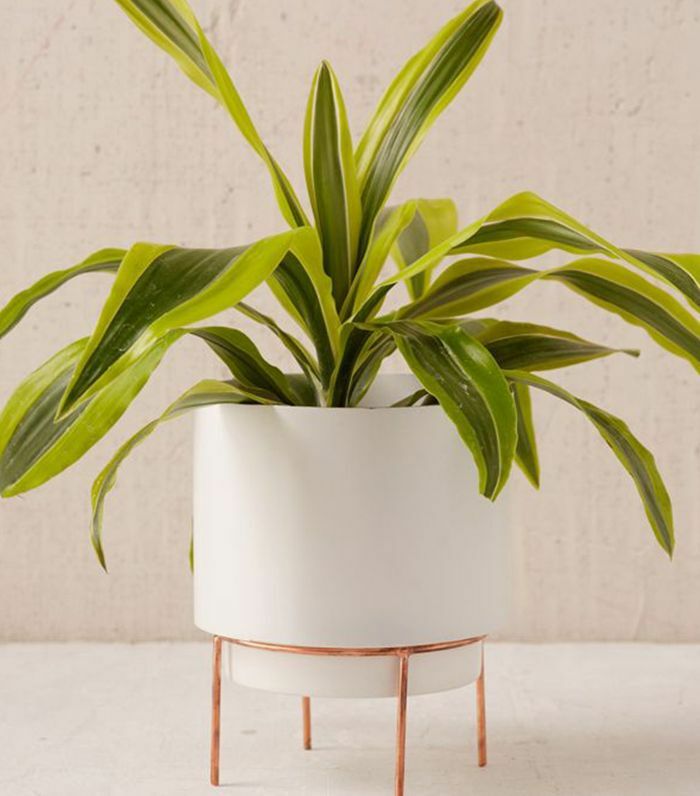 I've been dying to incorporate more plants in my apartment, and an elegant planter like this white-and-copper piece gives the natural design element a modern look. Currently, my kitchen drawers are overflowing with unnecessary tools and utensils. I plan on purging my collection and replacing old items with a smaller selection of nicer essentials. 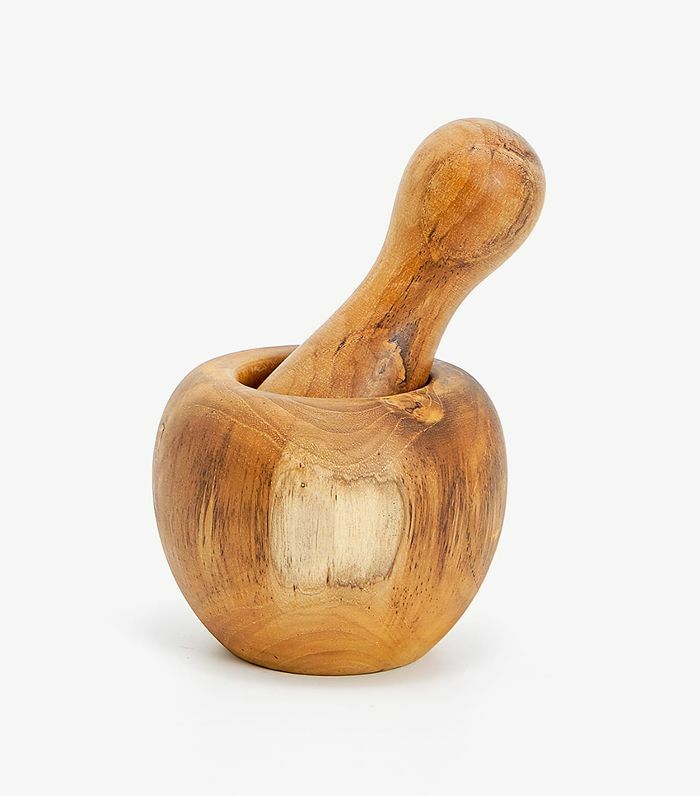 This smooth mortar and pestle from Zara Home would look chic set out on the counter (plus, it's an excuse to make homemade guacamole regularly). 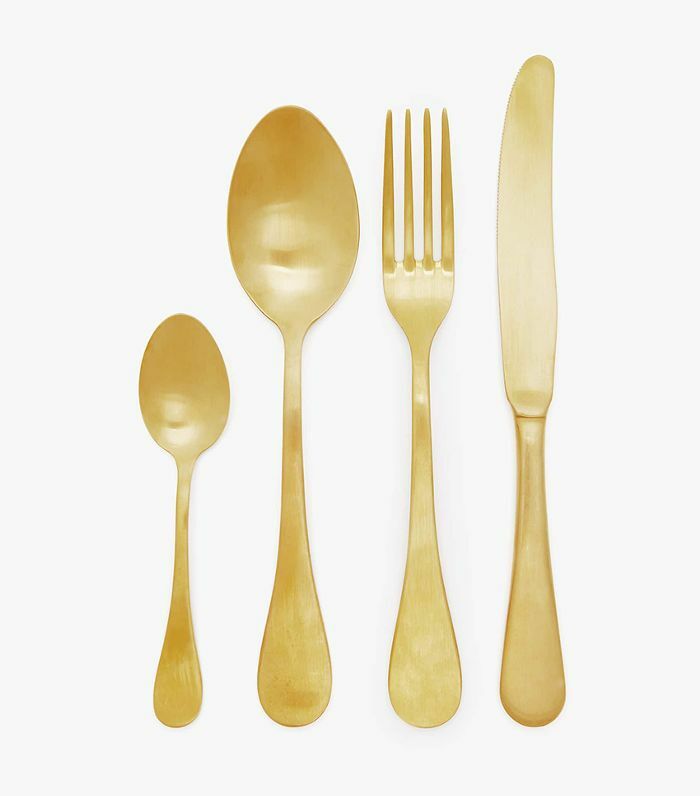 Is there anything chicer than gold flatware? Just a few sets of these won't cost a fortune, but they will make your table setting look luxe. 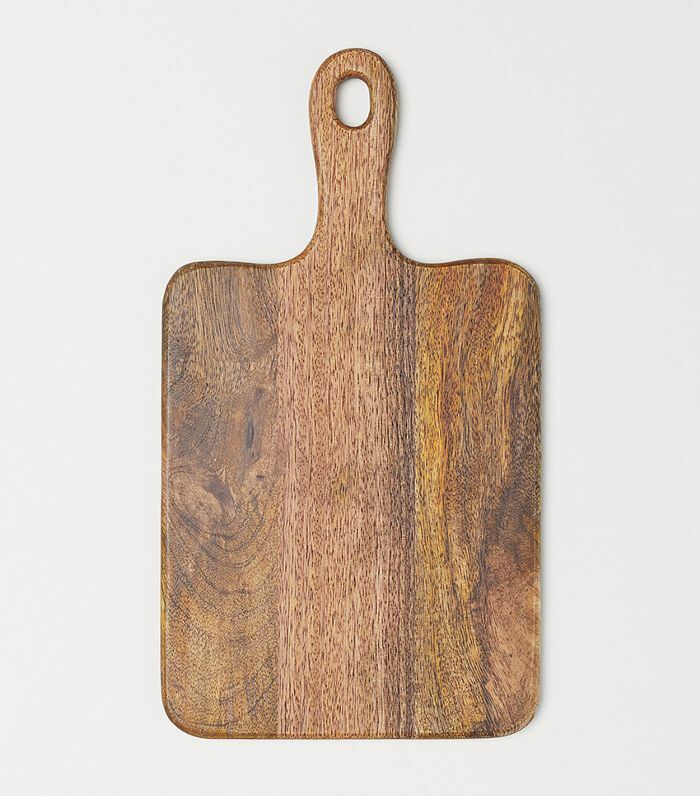 Every kitchen needs a wooden cutting board for both practical needs and style points. 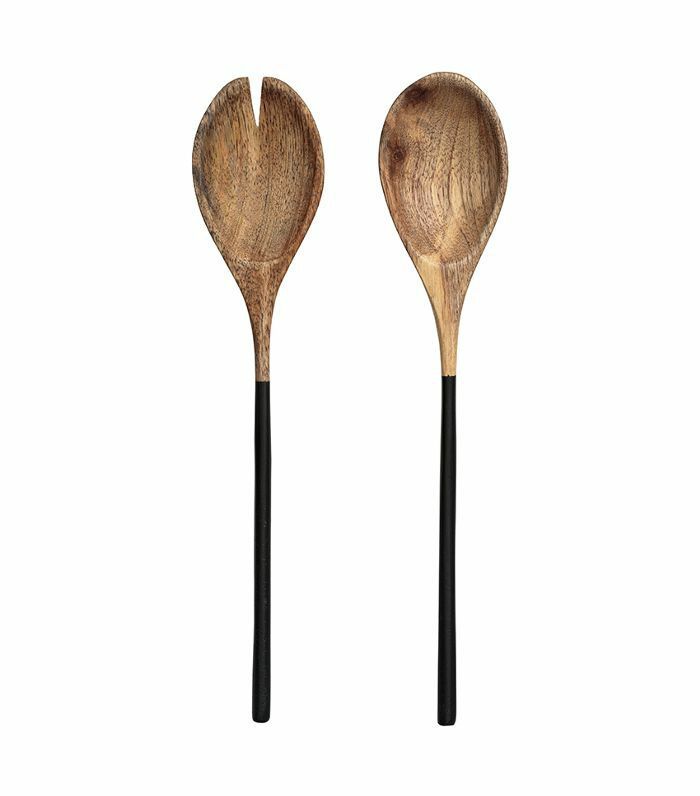 It can be used to chop veggies, serve cheese and crackers, or simply as decoration. 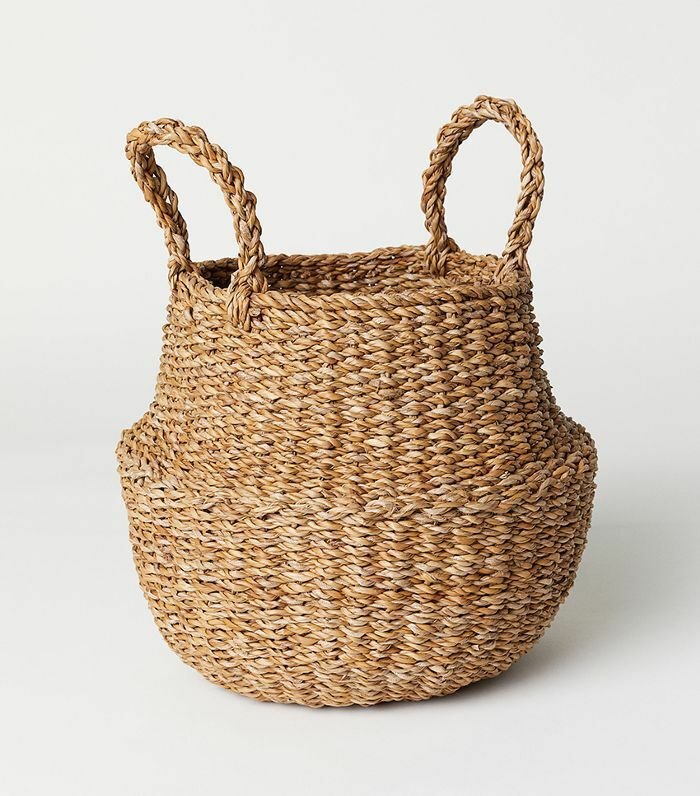 Store spare towels and other essentials in a woven basket that's just as stylish as it is functional. 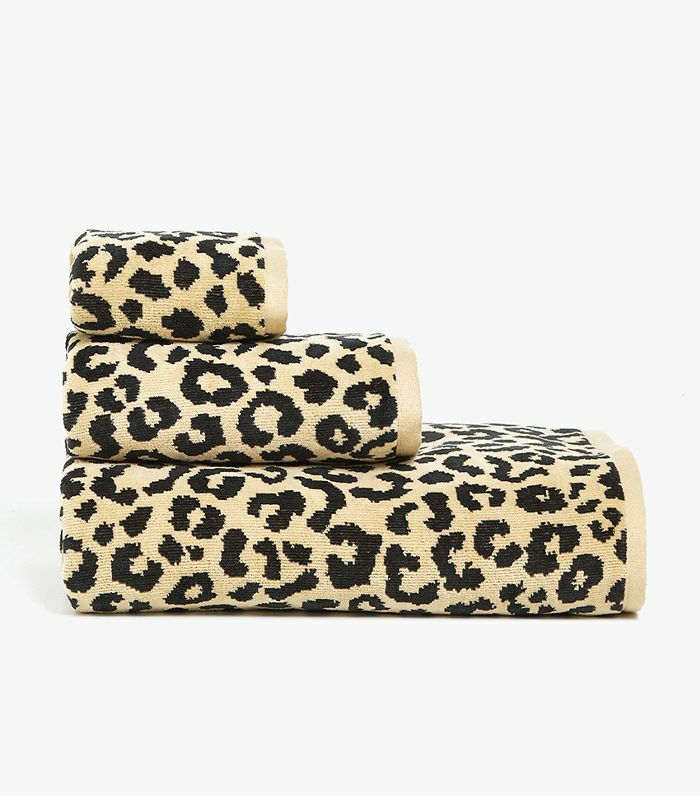 Animal print is all the rage right now, and a set of bath towels is an easy way to experiment with the trend without committing to a new couch. Apartment bathrooms tend to lack square footage and storage space. Make more room for your things with a simple shelving unit that fits right in the corner. If you have the counter space for a candle, spring for one in a chic holder. 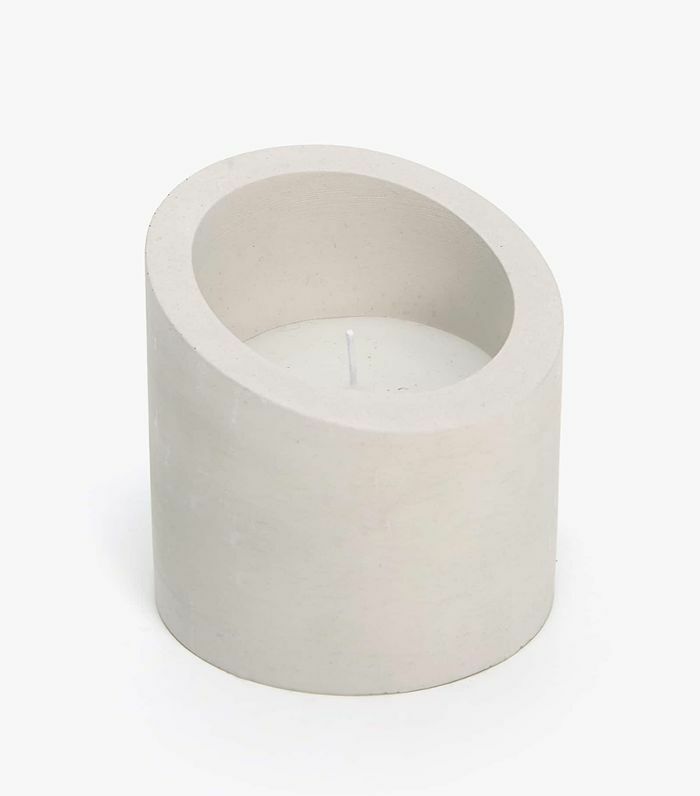 The cement material of this one goes with any décor and looks far more expensive than it is. 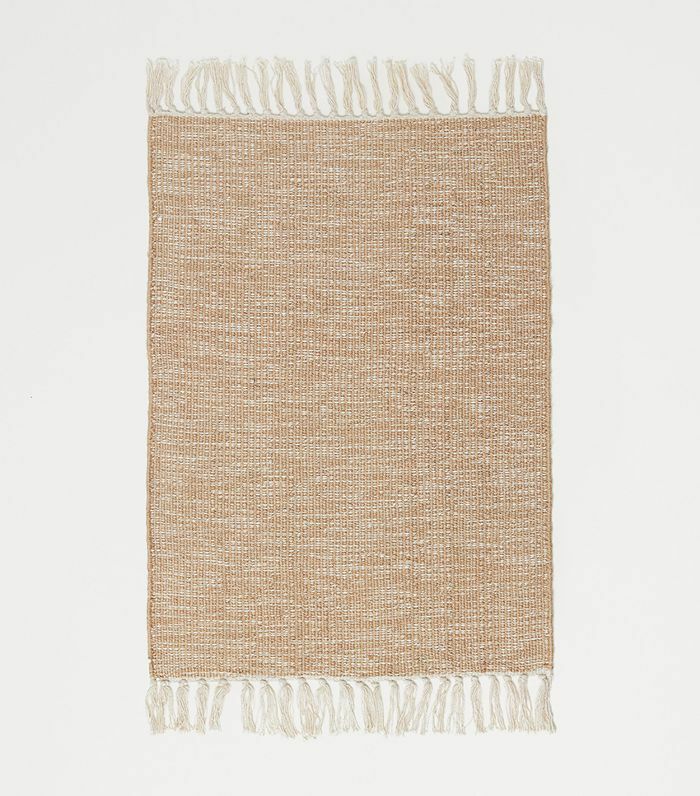 Trade in your old bath mat for a more stylish option like this jute piece with short fringe on the edges. Sepia tones are in. 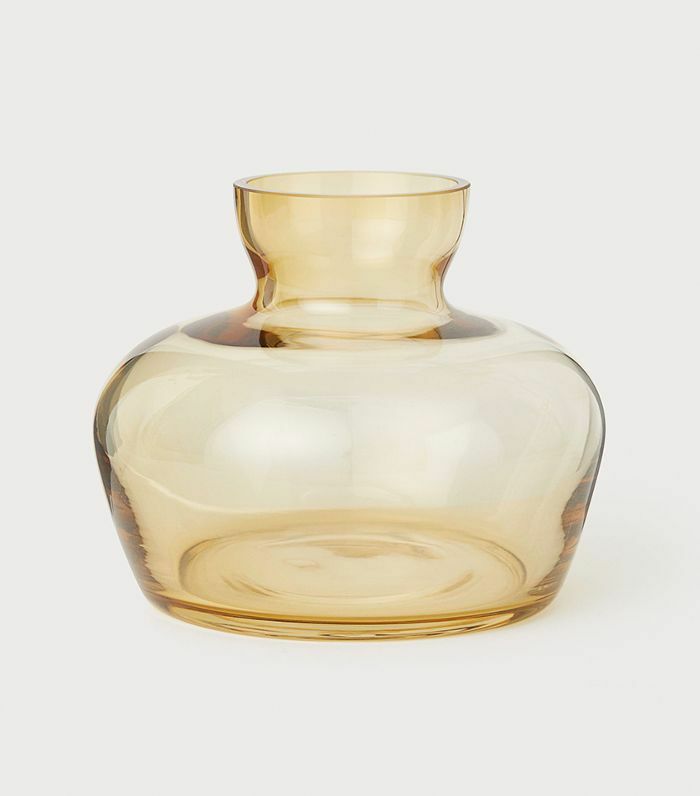 Decorate a console or coffee table with a cluster of opaque vases for an upgraded, on-trend look. 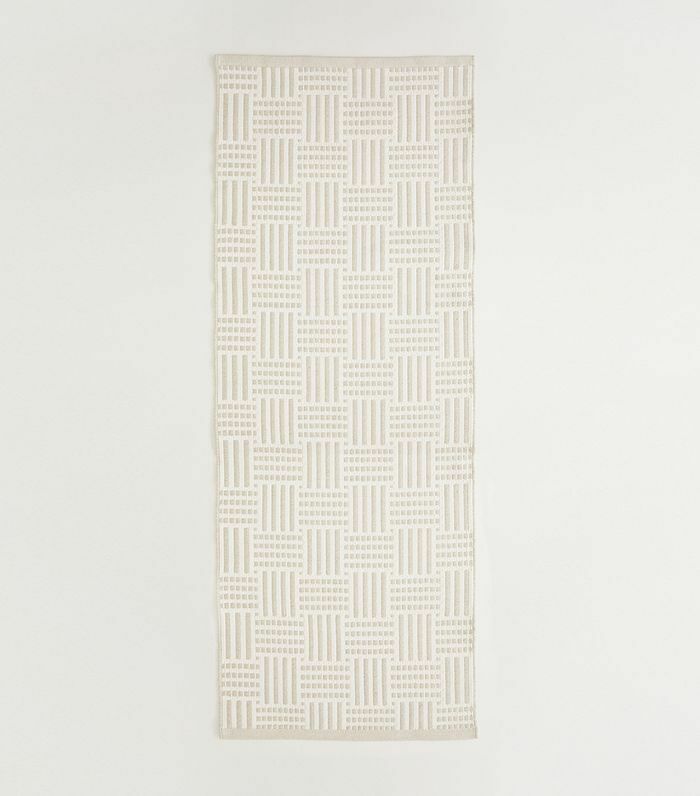 Any hall or entryway could benefit from an understated runner. It will add warmth and texture to your home. A mirror is just the thing to make a small apartment appear larger. 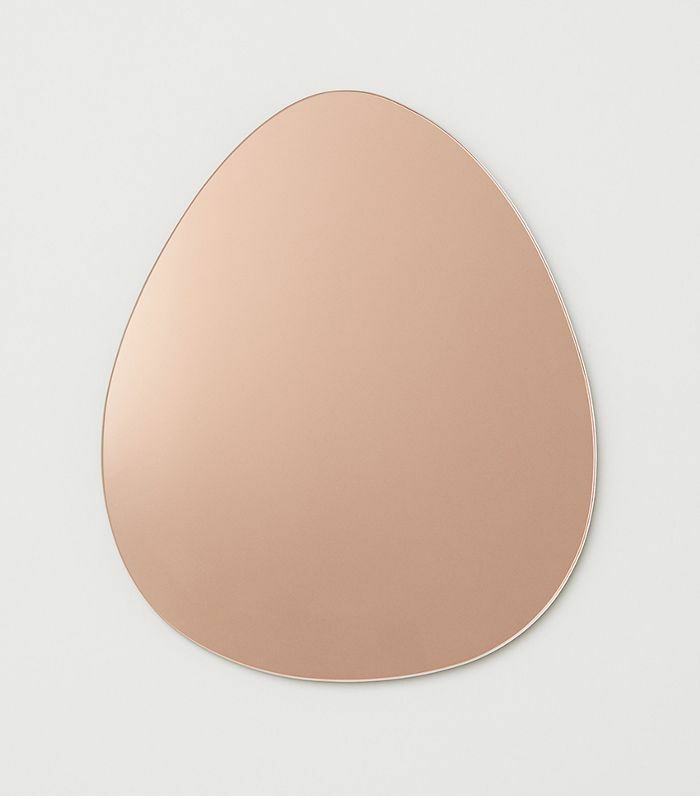 This teardrop-shaped one would look perfect hanging above a console table in an entryway. 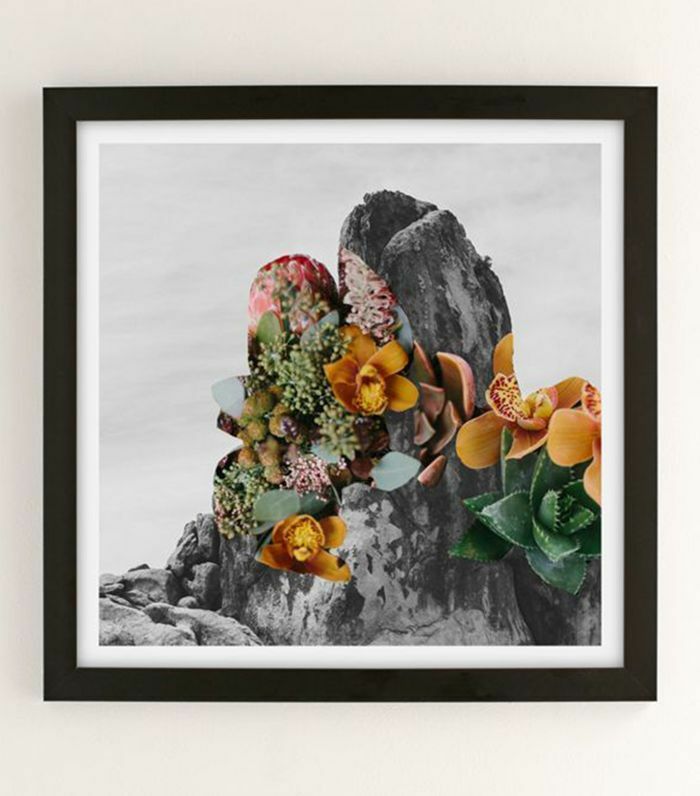 Hanging art is the key to making a new place feel like home. Find a piece that suits your style and grab a hammer and a nail (if your lease allows). Up next: This 1600-square-foot West Hollywood apartment is a lesson in budget decorating.